Preheat oven to 350 degrees Fahrenheit and grease a 9″ x 13″ casserole dish. Beat egg in a large bowl. Add sour cream, Parmesan cheese, and minced garlic. 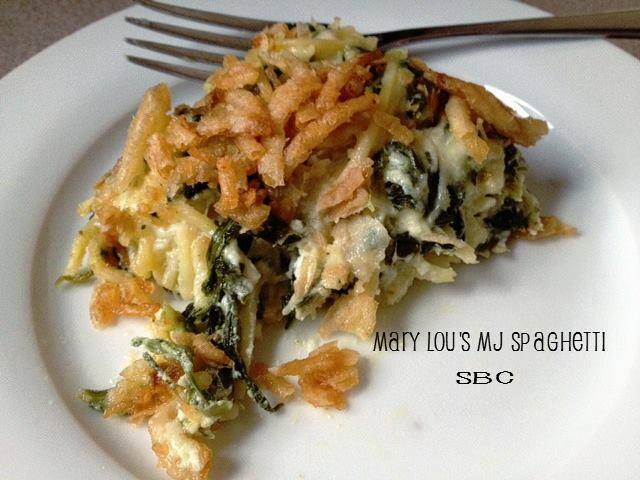 Add drained pasta to egg mixture along with Monterey Jack cheese, spinach, and cooked chicken. Stir well to combine. Pour mixture into the prepared casserole dish. Cover with aluminum foil and bake for approximately 30 minutes or until heated through. Remove casserole from the oven and sprinkle French fried onions on top. Return the dish to the oven and bake for another 5 minutes, until the onions are crisp. This entry was posted in Recipes and tagged casserole, chicken, pasta on March 24, 2019 by The Yellow Pine Times. 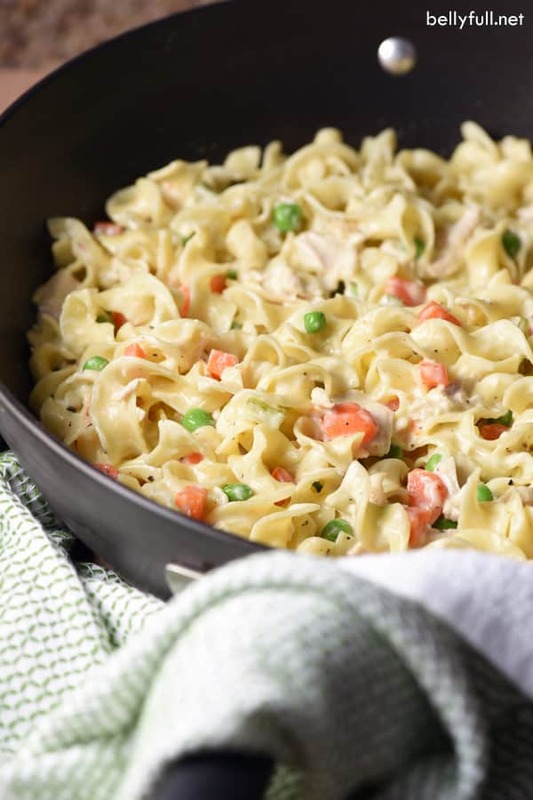 Classic chicken pot pie transformed into a skillet dish with noodles instead of a crust. Easy delicious weeknight meal. Cook noodles al dente, according to package directions. In a large skillet, melt the butter over medium-high heat. Stir in the onion, garlic, and peas and carrots; season with the salt and pepper. Cook for about 3 minutes until onions are soft and translucent. Stir in the flour until combined. Pour in the chicken broth and heavy cream; bring to a boil. Reduce to a simmer. Stir occasionally until thickened, about 5 minutes. Drain the pasta and add to the skillet, along with the chicken. Taste and season with a touch more salt and pepper, if necessary. This entry was posted in Recipes and tagged chicken, pasta on December 2, 2018 by The Yellow Pine Times. Preheat oven to 375 degrees F and grease a 9-by-13 casserole dish. While the pasta is cooking, heat a large non-stick skillet over medium heat. When hot, add the olive oil and allow it to heat up as well. Add chicken pieces, salt, pepper and dried basil to the skillet. Cook, stirring regularly, for about 5 to 7 minutes, or until chicken is no longer pink. When chicken is done cooking, add tomatoes and tomato sauce. Bring to a boil and lower heat, simmering for 3 minutes. Add cream cheese and stir, cooking just until melted. Drain the cooked pasta and add to the chicken and tomato sauce mixture. Add spinach and continue turning and stirring into the sauce just until the spinach wilts. Stir in the mozzarella cheese and cook until melted. Pour the entire mixture into the casserole dish. Sprinkle Parmesan cheese on top. Place in the preheated oven and bake for 30 minutes, until the entire casserole is heated through and bubbling along the sides. This entry was posted in Recipes and tagged chicken, pasta on October 21, 2018 by The Yellow Pine Times. Peel, chop and toss in olive oil your butternut squash, then in a hot oven roast at 425F for 15-20 minutes. Cook your jumbo pasta shells according to directions. 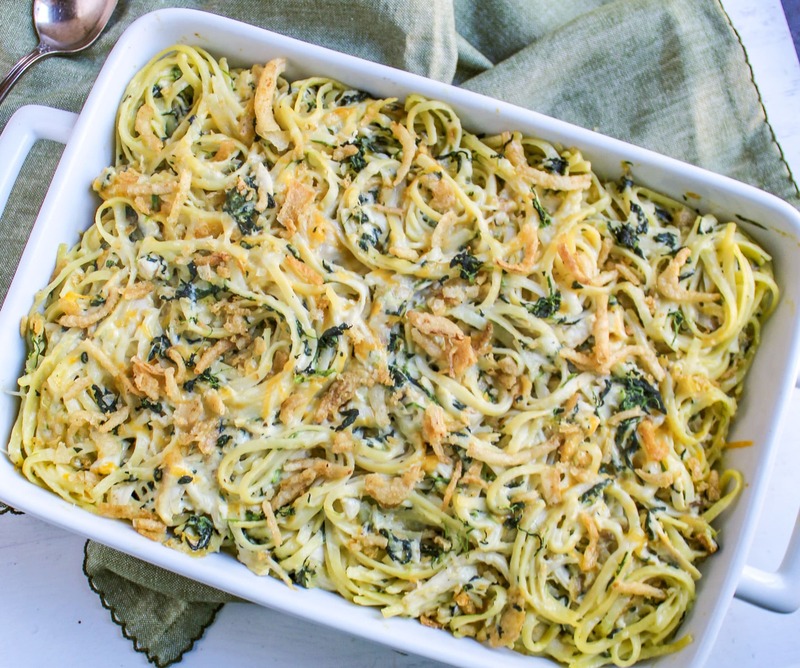 In a bowl add aprox, 2 cups of ricotta, 1/3 cup parmesan cheese, 1 fresh smashed garlic clove, 1/4 cup frozen chopped spinach (squeezed and drained) 1 egg, salt, pepper, your cooled down roasted squash, around 2 cups, and grated lemon peel. The lemon peel was key to this dish and added a nice bright flavor. Stuff the shells with the mixture and place in a buttered baking dish. Make a sage brown butter sauce by melting 1 stick of butter in a saute pan until golden brown and bubbly. Add at least 10 sage leaves until slightly crisp. Turn off heat and squeeze in fresh lemon juice. 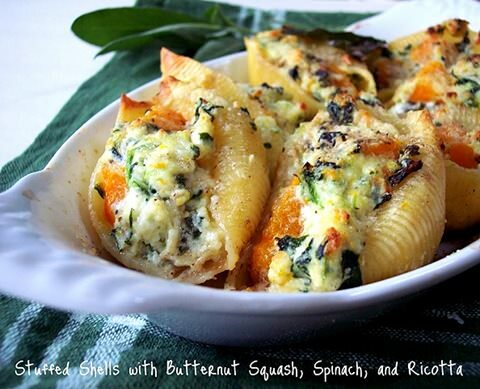 Place your shells in a 400F oven until heated through around 20-25 minutes. When finished spoon your warm sage sauce all over and sprinkle with grated Parmesan. This entry was posted in Recipes and tagged pasta on October 14, 2018 by The Yellow Pine Times. Cook the pasta according to the package directions, reserving 1 cup of the cooking water before draining. In a large skillet over medium-high heat, melt 3 tablespoons of the butter. Add the garlic and mushrooms and cook, stirring frequently, until the mushrooms are softened and golden brown, about 8 minutes. Remove the mushrooms from the pan. Add the remaining 3 tablespoons of butter to the pan and melt again over medium-high heat. Put in the flour and thyme and cook, whisking constantly, until the flour turns very light golden brown, about 4 minutes. Whisking continuously, add the milk in a slow stream and simmer for about 2 minutes, until the sauce thickens. Season with salt and pepper to taste. 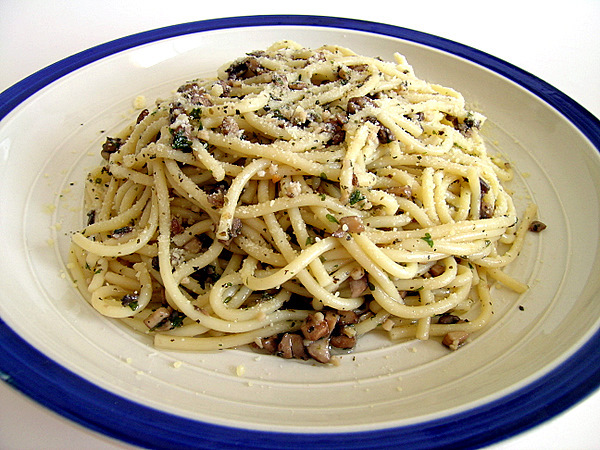 Add the cooked pasta to the sauce along with the mushrooms and olive oil. Mix well and heat through, adding the reserved pasta cooking water, a little at a time, if necessary to achieve the right sauce consistency. Serve hot, garnished with Parmesan cheese and chopped parsley. Preheat oven to 350 degrees F and grease a 9-by-13 casserole dish. Cook the pasta in a large pot according to package directions. Add the broccoli florets during the last two minutes of cooking, and drain, returning the pasta and the broccoli to the empty pot. In a medium-sized saucepan set over medium heat, melt the butter. When the butter has melted, add the flour and whisk with the butter to incorporate. Let cook for 2 minutes. Slowly add the milk to the flour and butter mixture, whisking to avoid lumps. Once all the milk has been added, let the mixture cook for another 10 minutes to thicken slightly. Add the Swiss cheese slowly, stirring as you do so. 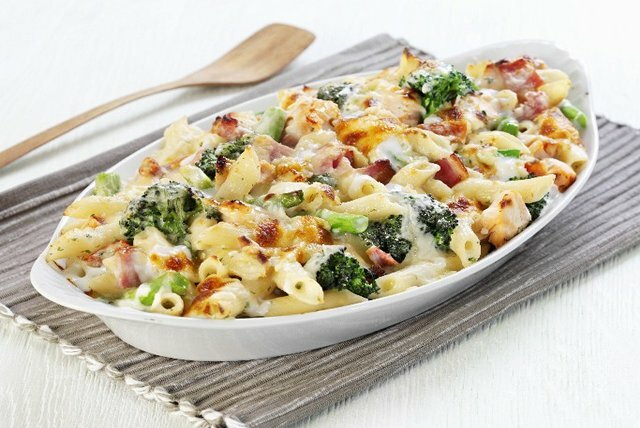 Pour the cheese sauce over the pasta and broccoli in the large pot and add the ham. Stir to combine and pour into the casserole dish. Place the casserole into the oven and bake for about 30 minutes, until it’s hot and bubbling throughout. This entry was posted in Recipes and tagged ham, pasta on October 7, 2018 by The Yellow Pine Times.